Starring Dr. Umar Johnson (Hidden Colors 1 & 2), Dr. Boyce Watkins & rapper Killer Mike... Elementary Genocide exposes the socially engineered mechanism created by our government & utilizing the public school system to label elementary aged African American males as work for hire targets within the US penal system... many refuse to believe there is a corporate attack on the minds & productivity of Black youth through intercepting their educational, economical & social development, & resulting in statistically funneling them through the revolving doors of the criminal justice system... 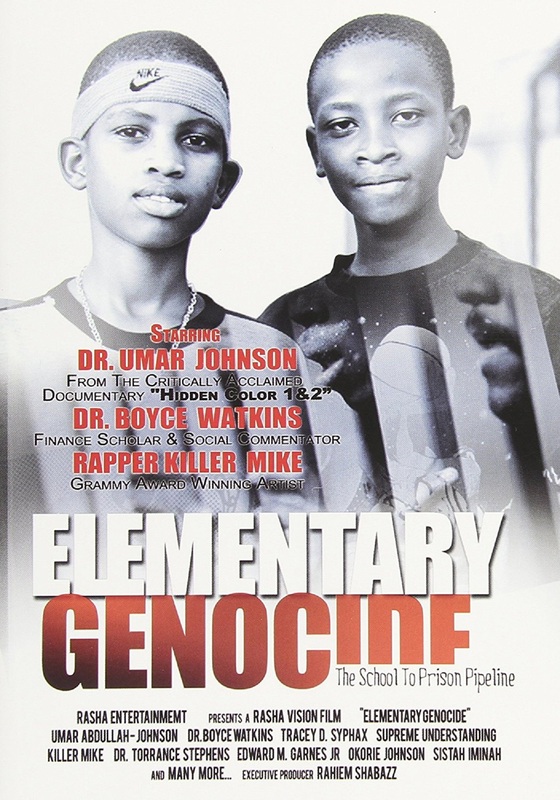 Elementary Genocide confirms this theory & seeks to educate parents, teachers & families, so that we can reclaim our young men & ensure the future of the community.